We can identify a Painted Bunting by his color, size, and sound. How are Christians identified? 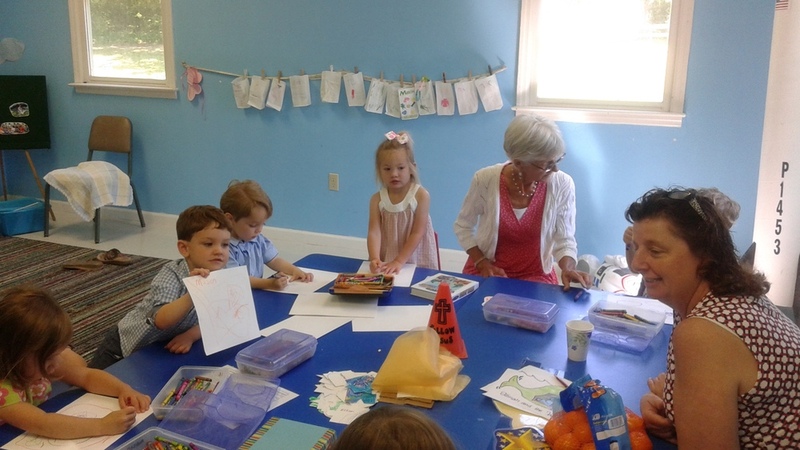 Preschoolers learn to show love by sharing. What do birds have to do with a lesson about love? Well, birds come in all sizes, shapes and colors. They can be identified by the color of their feathers, where they live, the sounds they make. There are many ways to identify a bird. Jesus talks to us in the Bible about how to identify Christians and it's quite simple. He was talking with his disciples and he said, "A new commandment I give to you, that you also love one another. By this everyone will know that you are my disciples." Just as we can identify birds by their behavior and the sounds they make, we can also identify a Christian by his or her loving behavior and kind words. How will you show the world that you are a Christian?